A recent study by KPMG found that most women are socialised as children to be nice to others (86%), to be good students (86%) and to be helpful (77%) but comparatively few are socialised to be leaders (44%), or to express their opinions (34%). Our clients observe that from the earliest moments of their careers, women de-voice themselves and devalue their achievements in comparison to male counterparts. These early behaviours have lasting consequences for women’s careers and the gender balance at senior levels. This means that women are less visible than their male counterparts in most organisations. Our female clients consider themselves to be excellent operationally, but poor at selling themselves: About 2/3 of the women we work with have experienced male colleagues taking credit for their work. Women are much less likely to recommend themselves as experts versus their male peers, irrespective of their actual levels of experience. When communicating, women are more likely to over-prepare and focus on building their legitimacy through data and evidence, rather than assuming they already have legitimacy. Women find it very difficult to ask for help or for opportunities, and tend to wait for someone else to offer. Impostor Syndrome and Perfectionism are still rife within female populations, meaning that many women simply avoid speaking up in public. Fewer women are given the experience and sponsorship that allows them to reach more senior positions. A Catch-22 – if there are fewer female role models within senior levels, then aspiring female leaders will opt out of career progression opportunities as you can’t be what you can’t see. Opportunities missed for profiling the ideas and successes of female leaders. Opportunities missed for showcasing your organisation as forward-thinking and gender balanced. Opportunities missed for genuinely diverse thinking – if your female voices aren’t heard at meetings, neither are their perspectives. Insufficient support for the confidence needs of female leaders. If neglected, women are less likely to ask their company to change, but will instead leave to seek new opportunities. 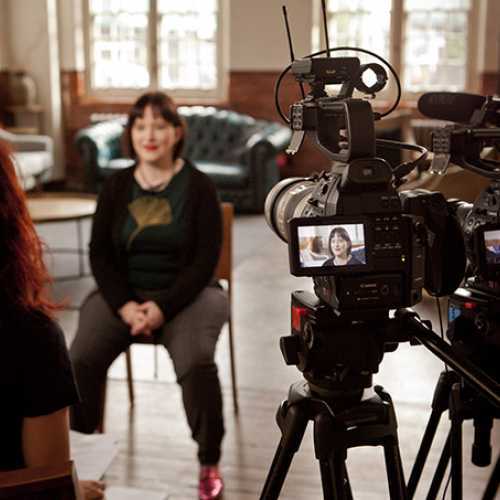 Ginger’s Women’s Leadership Communications programmes are designed to tackle the Gender Say Gap and help women to be more visible, vocal and visionary. 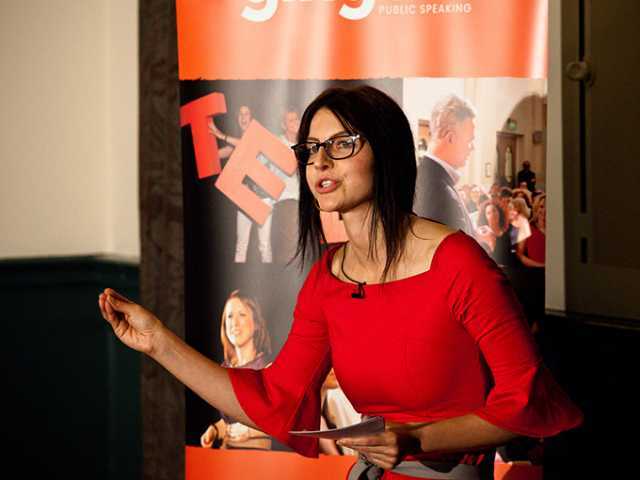 We combine public speaking training, leadership skills and personal development to offer transformative experiences that build the confidence, impact and visibility of female leaders. 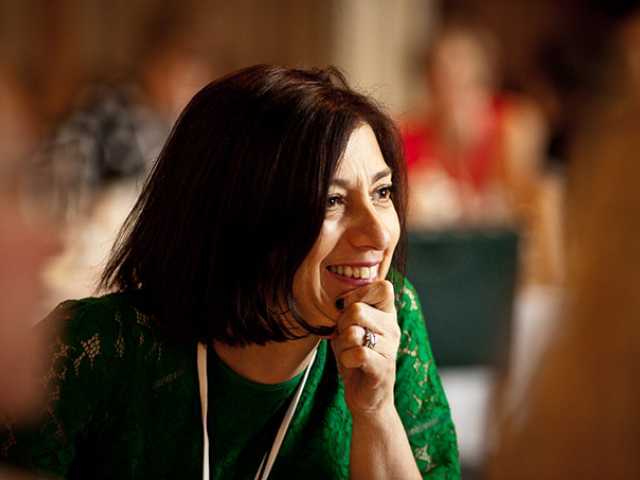 Our highly regarded flagship public programme, The Leader’s Voice is an eight-month Programme for female leaders that takes just a handful of senior female change makers from a range of industries on a journey to rally change. 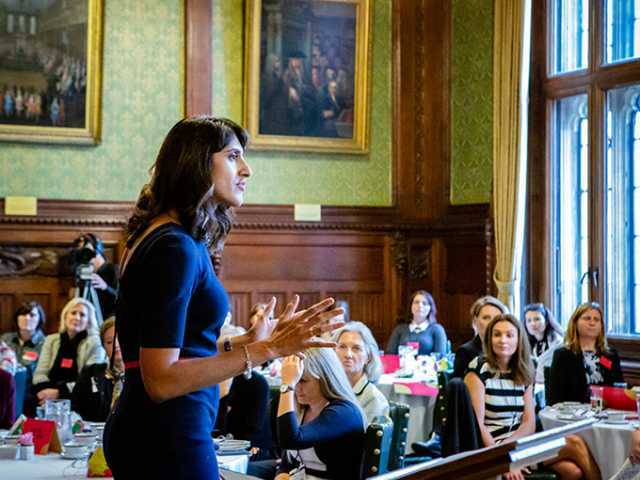 This highly selective, prestigious process ends in showcasing our graduates at Ginger’s Game Changers Women’s Leadership Summit at the House of Commons – an event open to game-changing female leaders. You can see some of our graduates of this process on Ginger’s Wall of Women. The Leader’s Voice is available as an in-house programme for female only or mixed groups in our “Speak. Lead. Change – Communications for Leaders” programme. This is tailored to meet your company needs and typically lasts 6-12 months. 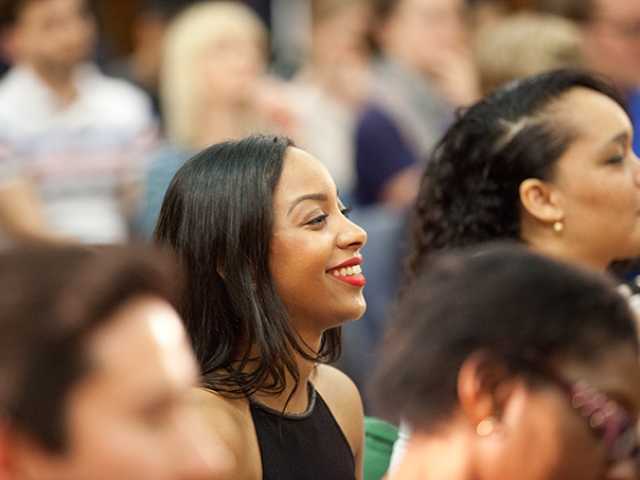 For those female leaders who would like headspace on their vision, purpose and sense of direction, we offer a Leader’s Voice Vision Hunt – a public programme for handpicked visionary women. And for senior women who are already making waves and want to plug into a community of like-minded women from all manner of industries and backgrounds, our not-for-profit Game Changers Women's Leadership Network is here to support. If you have bespoke needs or would like ongoing support, we also offer 1-2-1 coaching that can be totally tailored to you. Angela was a senior manager stuck in a rut when we she first encountered our work. Whilst she was recognised as a high achiever, she had been overlooked for promotion multiple times and felt that she was being side-lined for the best opportunities. Angela joined one of Ginger’s Women’s Leadership Programmes within her company, where she found a like-minded cohort of women from across the company.